Cider makers need technology: It’s simply a fact. Even the most “unplugged” artisan still must rely on tech, whether that’s electricity to run the lights and refrigeration, or a truck to make deliveries, or the phone to answer emails. And, increasingly, all kinds of makers, including cider makers, are relying on all sorts of technological innovations to increase productivity and, let’s be honest, to just help keep the wheels from falling off during the day-to-day realities of running a small business. Just because you love making cider doesn’t mean that running a business comes easy. There’s just so much to keep track of aside from the “fun stuff,” but luckily there are some reputable, intuitive systems out there that help in the areas of business that are tedious or overwhelming. There are platforms to help keep track of human resource benefits, like Zenefits, and programs like QuickBooks for accounting. Hootsuite and similar decks keep your social media ducks in a row, and point-of-sale software, like Arryved and Square, that have completely shifted how small companies handle retail operations. 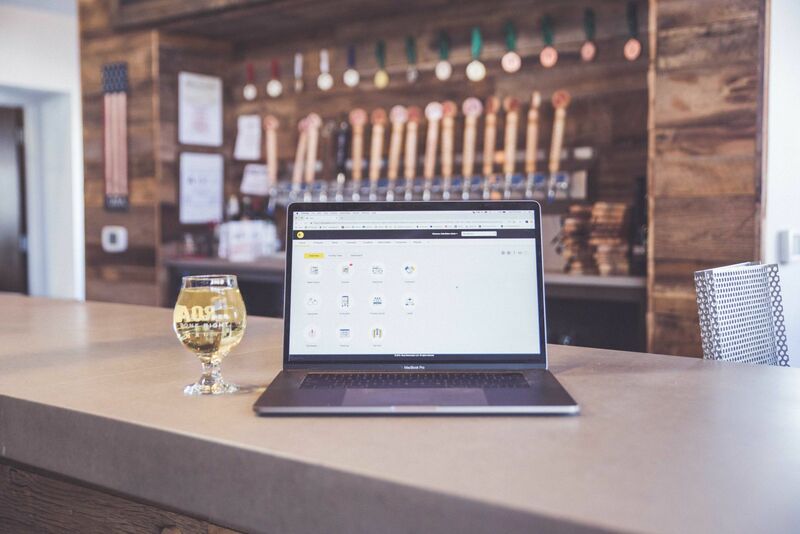 When it comes to actual cider production, Ekos, a software developer that started with a beer brewing platform and has since expanded to Ekos Cidermaker, is creating powerful cloud-based technologies. Its highly responsive, innovative system is making work both more efficient and more enjoyable for owners and employees at craft cideries across the county. Ekos Cidermaker lets you monitor all of your inventory from a customized dashboard — you can now know, in real time, the ingredients on your shelves and the quantity of cider you’ve produced. This isn’t just convenient (though it definitely is), but also allows you to project future orders and analyze cost patterns. You can toggle quickly between formats and functions, whether you’re at your desktop or laptop, or on the go with a tablet or smartphone. Cider Culture: What prompted the decision to begin using Ekos software? Trevor Baker: We started out with Ekos’ Brewery platform, and we just switched over to the cider-specific platform quite recently! So we are in transition mode. 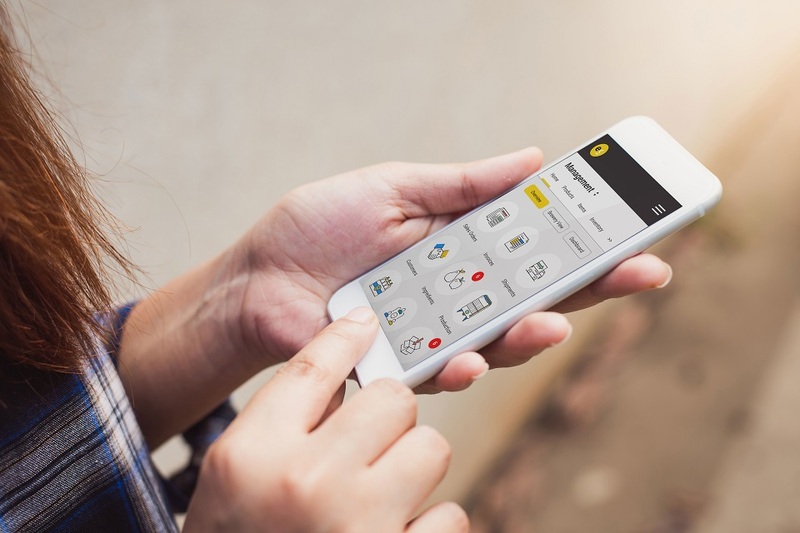 But, we decided to use Ekos as our production software as a way to help us manage inventory and invoicing, documentation for all of our production processes, and as a way to accurately keep track of COGS (cost of goods sold). Ekos has great customer service and support; they always answer our questions and quickly resolve any snags or glitches we experience. 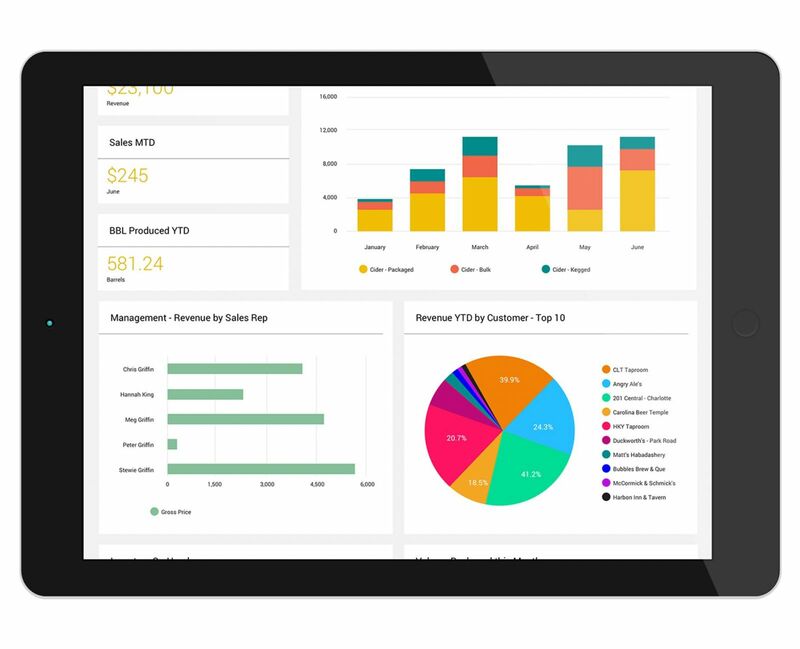 We also needed a software platform that would “talk” to Quickbooks. Ekos can handle it all! So how has Ekos software changed/improved things, operations-wise, at Noble Cider? Understanding our true COGS was a real challenge to track before we implemented Ekos, not to mention [the challenge of] accurately tracking information needed to fill out our government operations reports! It has vastly improved the documentation of our production processes. The inventory tracking has been great, as well. It lets the team know what is needed for plotting out our production schedule. We are excited to switch over to the Ekos Cider platform, as it has all the necessary fields of data to cater to cider and wine production. The Ekos Cider platform allows products to more easily change from one item to another — even changing from one tax class to another! 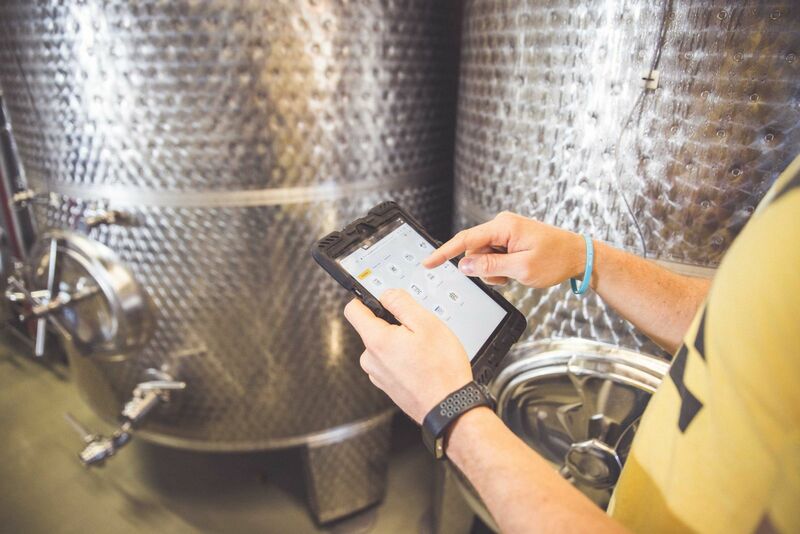 Now, cider makers can break off a portion of a bulk cider blend, infuse that with a botanical or another fruit, and track it accurately throughout all the changes. In your opinion, how important is it for cider makers to adapt to technological advances? We started out with a homemade apple press, a homemade keg washer and a homemade bottle filling station. Talk about doing things by hand — the hard way! Trust me, we appreciate tech now and use it to our best advantage in the workplace. Simply put, technology is best thought of as another tool in your kit. We fully embrace technology on our production floor, with no stigmas or negative connotations! But, as with any tool, they sometimes break or need replacing, and tools require maintenance for optimal performance. We would never presume to tell another cider maker what’s best for them. If they aren’t comfortable with technology in their process, then no worries! Technological advances are not a replacement for understanding the fundamentals of cider making. For us, we certainly appreciate that our filter is set up with WiFi; it sure is nice that we can quickly document a process directly into Ekos on the laptop down on the production floor; it sure is cool that we have an alarm on our glycol chiller that notifies us when the temp goes too high for some reason! Hell, it’s great that we are finally at a place as a company to appreciate and realize all the ways technology can assist us. If you had to pick one thing that Ekos has helped to streamline or improve in your day-to-day, what would it be? I am totally looking forward to the new TTB report function that’s available on the Ekos Cidermaker platform! I fully intend to take advantage of the extra time saved in the office … maybe a trip to Mexico? Ready to see how this incredible piece of technology can streamline and improve production at your cidery? 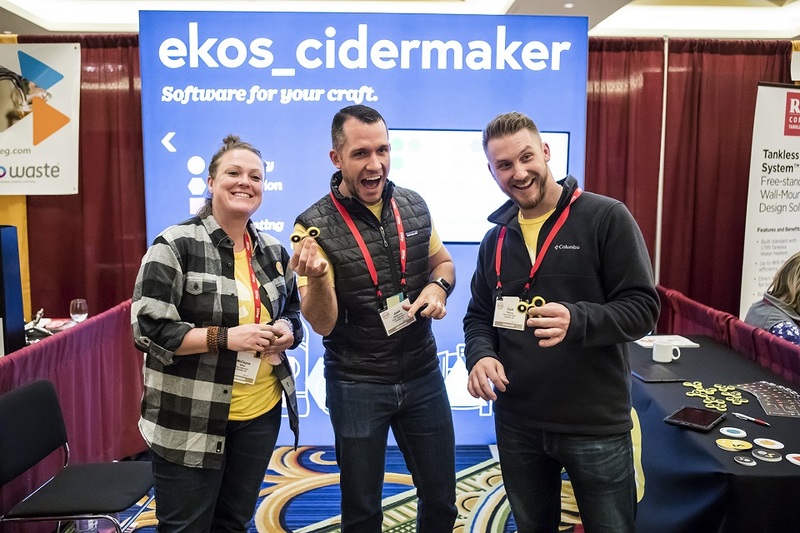 For an in-person demo of the Ekos Cidermaker platform, stop by its booth, #502 at the CiderCon Tradeshow at the Hilton Chicago, February 4 through February 8. Everyone is welcome to drop by Ekos’ booth, but to guarantee a spot for a trial demo, reserve your spot online. For more info, explore Ekos’ website, and follow along on Facebook and Instagram!